Capacity :- 2GB Module. Lexmark (IBM). This success has been built on a number of core principles :-. A huge database of information allows us to provide upgrades for almost any computer. This focus has allowed us to build a knowledge base that is second to none. IBM dx360 M2 Server (7323). FRU 49Y1438, 47J0149, Dell P/N : A2626085, A2884828, A2884829, A3116517 A3198151, A3721497, A3721502, A3721507, A4051427. 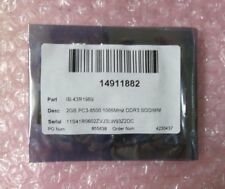 (2x 2GB) 2Rx8 PC3-10600R-0910-L0-D2, HP equiv 500202-061, 501533-001, 500656-B21. Type: DDR3 SODIMMRAM. Technology: DDR3 SDRAM. RAM Features: Unbuffered. Speed 1066 MHz ( PC3-8500 ). Integral - DDR3 - 2 GB - SO-DIMM 204-pin. Technology DDR3 SDRAM. Upgrade Type System specific. Data Integrity Check Non-ECC. Compatibility Information. Latency Timings CL7. Technology : DDR3 RAM. Type: DDR3 SODIMMRAM. RAM Features: Unbuffered. & Free technical support. Why buy from us. Type: DDR3 DIMM RAM. Technology : DDR3 RAM. RAM Features: Unbuffered. & Free technical support. Why buy from us. 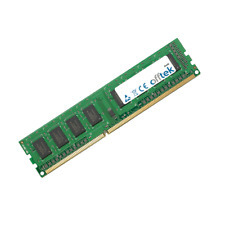 Type: DDR3 DIMM RAM. 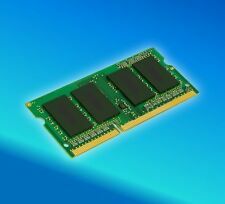 Technology: DDR3 RAM. RAM Features: Unbuffered. This success has been built on a number of core principles :-. OFFTEK Part Number :- FT256MSK64V1U. Capacity :- 2GB Module. Lexmark (IBM). A huge database of information allows us to provide upgrades for almost any computer. Capacity :- 8GB Module. Lexmark (IBM). This success has been built on a number of core principles :-. A huge database of information allows us to provide upgrades for almost any computer. This focus has allowed us to build a knowledge base that is second to none. OEM Part Number: M30E512. Rank: 2RX8. Capacity: 8GB. All of our RAM sticks are tested before dispatch. We are aware that mistakes and problems can always occur but we will endeavour to get any issue resolved as quickly and fairly as possible. This is my last one! Short Form 4GB(2Rx8). Capacity 4GB. Manufacturer Samsung. Number of DRAM 16. Model SO-DIMM. Number of Ranks 2. Organization 512Mx64. This success has been built on a number of core principles :-. 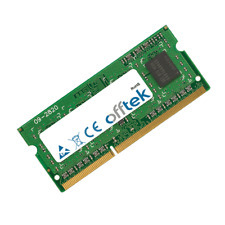 OFFTEK Part Number :- FT256MLK64V3U. Capacity :- 2GB Module. Lexmark (IBM). A huge database of information allows us to provide upgrades for almost any computer. This success has been built on a number of core principles :-. OFFTEK Part Number :- FT256MSK64V3U. Capacity :- 2GB Module. Lexmark (IBM). A huge database of information allows us to provide upgrades for almost any computer.